Haiti is a country of “startling contrasts,” writes Roxane Gay; beauty and brutality bourgeoning impossibly in one place. The same can be said of mankind as a whole, which thrives on disparity tied to gender, race, poverty and class, and is utilized by the weak as an excuse to fall prey to dark desires and the blackness in our hearts. 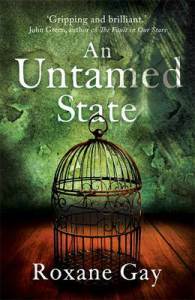 An Untamed State uncompromisingly exposes mankind’s darkness, and forces readers to confront some harrowing truths. It is a challenging read, but a necessary one, and executed with stunning page-turning deftness. Mireille, her husband Michael, and baby son, have returned to Haiti to visit her parents. Her father is an influential figure in the region, who has worked hard his whole life to build this life of luxury. Because of this, he – and therefore his family – are highly-prized ransom targets. The moment Mireille and her young family step outside her father’s compound, they are attacked. Mireille is taken, kicking and screaming from her loved ones, as Michael watches on powerlessly. But kidnapping is an unfortunate part of life in Haiti; there are procedures in place for moments like this. Mireille is able to remain a smidgen of composure, knowing she needs to be kept alive for the ransom to be paid, and being her father’s youngest daughter, that’s a given. She’s just got to wait it out. She can do this. She is strong. Then we learn: Mireille’s father has declined to pay the ransom. And so begins thirteen days of cruelty and deprivation, during which this young woman is dehumanized by vicious animals masquerading as men; used as their plaything, broken physically and mentally for their amusement. Throughout it all, her father’s betrayal stings the most. An Untamed State is told in two parts: the before and after. We witness Mireille cognizant disassociation with events, then later, her attempts at rebuilding her life and reclaiming what she lost. But having crushed her humanity, buried its pieces, and coated over it with concrete, is that even possible? Gay’s prose is penetrating rather than poetic. She doesn’t hold back, bluntly describing Mireille’s treatment and its consequences. The novel is better for it; shying away from the reality would be unjust, and would strip away its potency. 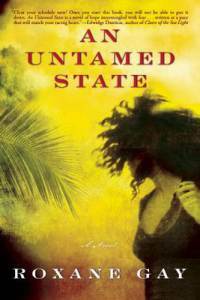 An Untamed State will resonate long after the final page is turned. It will make you think and reflect; more than anything, it will make you angry. Because although this account is fiction, Gay has exposed reality. We owe it to ourselves, to our brothers and sisters around the world, to learn these hard truths; and hopefully, together, we can obliterate such horrors from existence. Or die trying.